Ok, this week's EtsyInspired shop is Designs by Cathy. 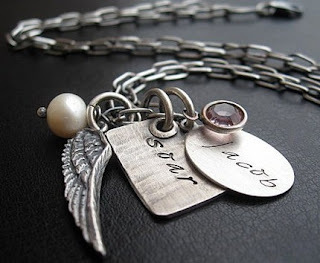 I am seriously in love with hand stamped jewelry! And this store is so exquisite! I love that all the pieces are layered. The motto is "jewelry that tells your story" and it sure does. The quotes and the images are just fabulous. The jewelry also comes in copper which is an interesting twist on the norm. To play along with our challenge, all you have to do is go to Designs By Cathy and pick any item to be inspired by. Make your creation and post a link to it on the EtsyInspired #80 post on the EtsyInspired blog by next Friday, Mar 26th by noon Pacific time. Everyone will be entered into a random drawing to win. If you upload to SCS or PCP, please use keyword EIC80. And PLEASE remember to give credit to the shop that you found your inspiration from. Our wonderful sponsor this week is The Digi Kitty and they will be giving our winner the Easter Bundle which includes 8 great stamps! The Digi Kitty offers more than just digital stamps so be sure to check out their site for other unique products like German Dresdens! Here's my card for this week. I was inspired by the necklace featured above. The stamps are from Unity Stamp Co. The black is dry embossed but you can't really tell in this picture. Before you go be Etsy Inspired, be sure to check out our talented group of designers! 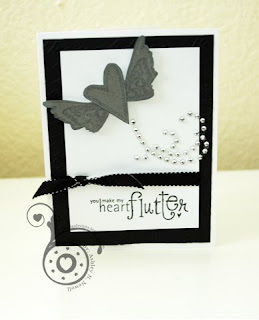 This is so cute and just love that flourish bling. Very pretty card, Ash. Love the flourish, too! I really need to get some of those. It looks lovely and adds that extra-something special. yes Ashley, we are def. twins seperated at birth! HUGS! I love this! That image is perfect, the color combo reminds me of the jewelry and gotta love the bling!